As the AOR for Mountain Equipment Co-op, NKPR was tasked with driving a national media campaign to shine a light on the under-representation of diversity and inclusivity in the outdoor recreation marketing space as demonstrated by a revelatory Environics study commissioned by MEC. The robust media relations strategy led by NKPR would underscore MEC’s pledge to increase diversity across all areas of the organization, while challenging industry partners to do the same. 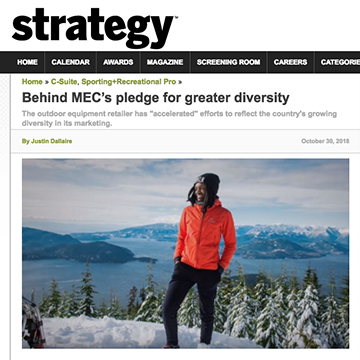 To Leverage data findings revealed from an MEC-commissioned national survey to shine a light on the false picture of participation and underrepresentation of people of colour in outdoor industry marketing. 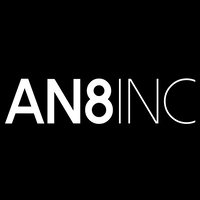 At the same time, create national awareness for MEC’s commitment to becoming more inclusive and culturally diverse at all levels of the organization, from advertising imagery to executive leadership, and how the company is challenging industry partners to do the same.